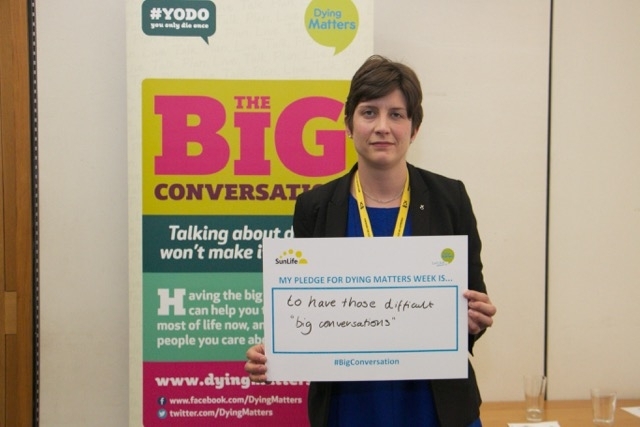 Last week was Dying Matters Awareness Week, which provided an important opportunity to think about dying, death and bereavement and to raise public awareness of the impact of death on households across the UK. In particular, there are big, important conversations to be had about how to manage a deceased loved one’s affairs and how to prepare for the end of life. 41% of those surveyed had not made adequate financial arrangements to cover the costs of a funeral. 31% of those surveyed did not know if their loved ones would prefer burial or cremation. One in six of those surveyed had not made funeral plans solely because they felt uncomfortable discussing death. Failing to prepare for death can put people in serious financial difficulty at an emotionally challenging time and I urge my constituents to use resources available to them to start conversations with their loved ones about death and make adequate arrangements which reflect their loved ones’ wishes. One resource that is available is My Perfect Send Off, produced by SunLife, which asks some simple questions about funeral preferences. The tool offers people the opportunity to record and share their final wishes with loved ones in a sensitive way, either by securely recording your wishes in a document which you can either discuss with loved ones or keep locked away in preparation for the future. I hope that this tool can be used to start the difficult conversations that people need to have about death so that they can be fully prepared for when the time comes.